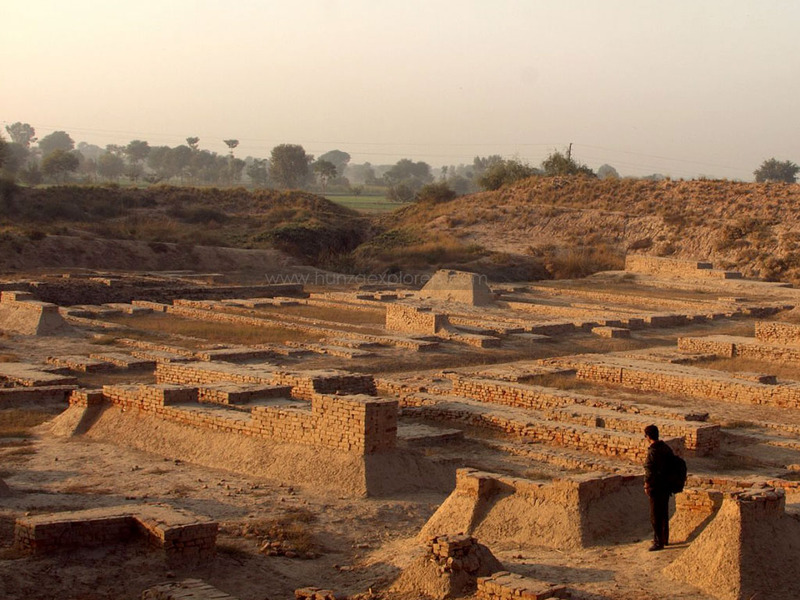 Harappa is an archaeological site in, Pakistan, about 24 km (15 mi) west of Sahiwal. The site takes its name from a modern village located near the former course of the Ravi River which now runs 8 km (5.0 mi) in north. The current village of Harappa is less than 1 km (0.62 mi) from the ancient site. Although modern Harappa has a legacy railway station from the period of the British Raj; it is today just a small crossroads town of population 15,000. 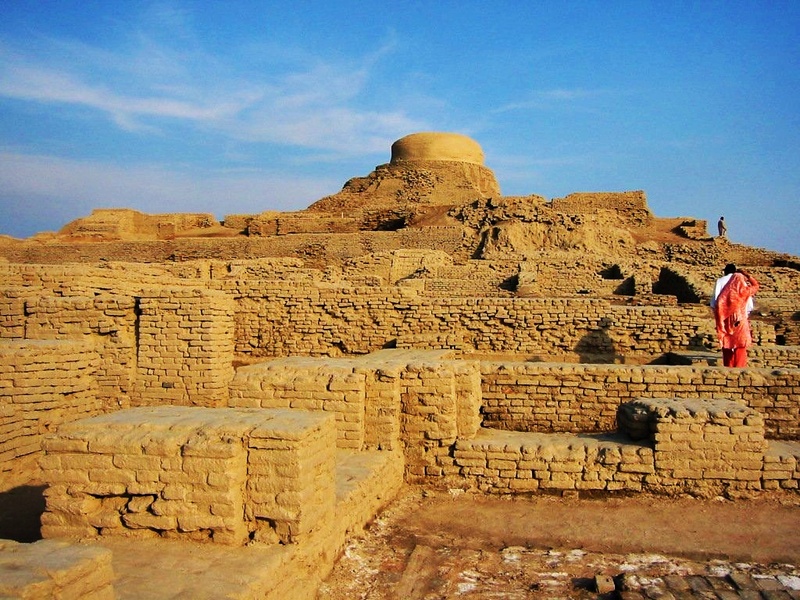 The site of the ancient city contains the ruins of a Bronze Age fortified city, which was part of the Indus Valley Civilization centered in Sindh and the Punjab, and then the Cemetery H culture. The city is believed to have had as many as 23,500 residents and occupied about 150 hectares (370 acres) with clay brick houses at its greatest extent during the Mature Harappan phase (2600–1900 BC), which is considered large for its time. Per archaeological convention of naming a previously unknown civilization by its first excavated site, the Indus Valley Civilization is also called the Harappan Civilization. The Harappan Civilization has its earliest roots in cultures such as that of Mehrgarh, approximately 6000 BC. The two greatest cities, Mohenjo-daro and Harappa, emerged circa 2600 BC along the Indus River valley in Punjab and Sindh. The civilization, with a possible writing system, urban centers, and diversified social and economic system, was rediscovered in the 1920s also after excavations at Mohenjo-daro in Sindh near Larkana, and Harappa, in west Punjab south of Lahore. 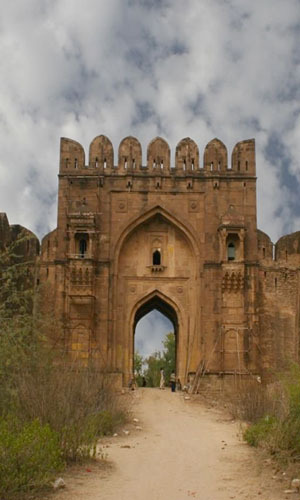 A number of other sites stretching from the Himalayan foothills in east Punjab, India in the north, to Gujarat in the south and east, and to Pakistani Balochistan in the west have also been discovered and studied. Although the archaeological site at Harappa was damaged in 1857 when engineers constructing the Lahore-Multan railroad (as part of the Sind and Punjab Railway), used brick from the Harappa ruins for track ballast, an abundance of artifacts have nevertheless been found. The bricks discovered were made of red sand, clay, stones and were baked at very high temperature. As early as 1826 Harappa, located in west Punjab, attracted the attention of a British officer in India, who gets credit for preliminary excavations in Harappa. 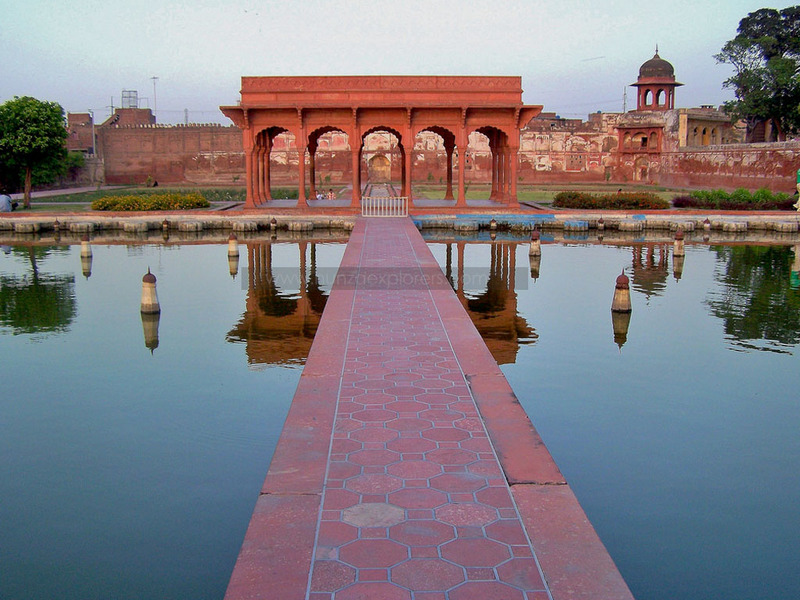 03 Today we will explore Lahore, it is one of the most historical city in Asia. We will visit Lahore Fort, Badshahi mosque, walk through the old city of lahore, Wazir Khan mosque and Anarkali bazaar..
05 Today is another day to explore Lahore, we will visit Lahore museum, tomb of Jahangir, tomb of noor Jahan, Shalimar garden and in the evening drive to Wagah border to see the flag downing ceremony between Pakistan army and Indian Army . 06 Depending on your flight schedule, if it is in the evening then we will explore the city, later drive to the airport and fly to your destination.